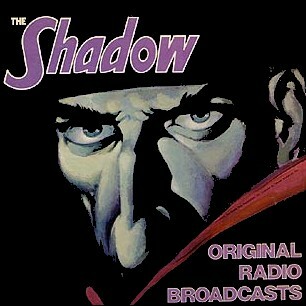 The Shadow debuted on July 31, 1930, as the mysterious narrator of the Street and Smith radio program Detective Story Hour, which was developed in an effort to boost sales of Detective Story Magazine. When listeners of the program began asking at newsstands for copies of "That Shadow detective magazine," Street & Smith decided to create a magazine based around The Shadow and hired Gibson to create a character concept to fit the name and voice and write a story featuring him. The first issue of The Shadow Magazine went on sale on April 1, 1931, a pulp series. On September 26, 1937, The Shadow radio drama, a new radio series based on the character as created by Gibson for the pulp magazine, premiered with the story "The Deathhouse Rescue," in which The Shadow was characterized as having "the power to cloud men's minds so they cannot see him." As in the magazine stories, The Shadow was not given the literal ability to become invisible. 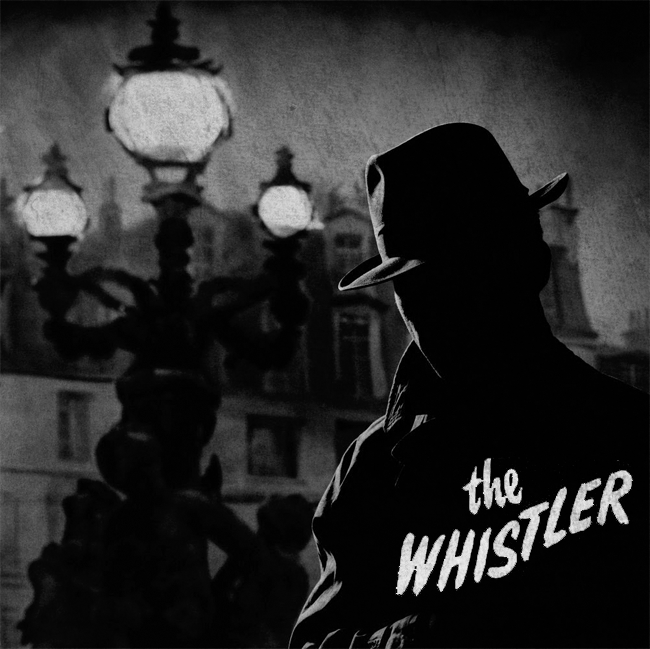 The Whistler is an American radio mystery drama which ran from May 16, 1942, until September 22, 1955, on the west-coast regional CBS radio network. The show was also broadcast in Chicago and over Armed Forces Radio. On the west coast, it was sponsored by the Signal Oil Company: "That whistle is your signal for the Signal Oil program, The Whistler." There were also two short-lived attempts to form east-coast broadcast spurs: July 3 to September 25, 1946, sponsored by the Campbell Soup Company; and March 26, 1947, to September 29, 1948, sponsored by Household Finance. The program was also adapted into a film noir series by Columbia Pictures in 1944. Each episode of The Whistler began with the sound of footsteps and a person whistling. (The Saint radio series with Vincent Price used a similar opening.) The haunting signature theme tune was composed by Wilbur Hatch and featured Dorothy Roberts whistling with an orchestra. A character known only as the Whistler was the host and narrator of the tales, which focused on crime and fate. He often commented directly upon the action in the manner of a Greek chorus, taunting the characters, guilty or innocent, from an omniscient perspective. The stories followed a formula in which a person's criminal acts were typically undone either by an overlooked but important detail or by the criminal's own stupidity. An ironic ending, often grim, was a key feature of each episode. But on rare occasions, such as "Christmas Bonus" broadcast on Christmas Day 1944, the plot's twist of fate caused the story to end happily for the protagonist. Bill Forman had the title role of the Whistler for the longest period of time. Others who portrayed the Whistler at various times were Gale Gordon, Joseph Kearns, Marvin Miller (announcer for The Whistler and The Bickersons and later the actor who portrayed Michael Anthony on TV's The Millionaire), Bill Johnstone (who had the title role on radio's The Shadow from 1938 to 1943) and Everett Clarke. Cast members included Betty Lou Gerson, Hans Conried, Joseph Kearns, Cathy Lewis, Elliott Lewis, Gerald Mohr, Lurene Tuttle and Jack Webb.